T he operator of Bristol nursing home Riversway has been recognised as the Service Business of the Year at a top award ceremony. Springhill Care Group, which runs three care homes in Bristol and Lancashire, along with a supported living service for young adults, triumphed despite stiff competition at the prestigious Be Inspired Business Awards (BIBAs). Hailed as one of the North West’s leading business awards, the BIBAs are intended to find the area’s most successful and innovative companies through a rigorous judging process. The awards attracted more than 900 people to the ceremony, held in the Blackpool Tower Ballroom. BIBA judge Tony Raynor, managing director of category sponsors Abbey Telecom, praised Springhill Group’s entry. He said: “The BIBAs recognise excellence and it was clear to the judging panel that all eight contenders for the award are putting service at the heart of their businesses. The BIBA result tops off a successful period for Springhill Care Group, which this year marks its 30th anniversary, after Ken Nolan was recently named Care Employer of the Year at the Great British Care Awards. Residents, family and friends enjoyed a carefree afternoon in the sunshine at Riversway’s BBQ last week. Sun hats and parasols were the order of the day as the sun shone and the BBQ food was enjoyed in the garden area. The afternoon was capped by entertainment from Trevor who is a regular entertainer-singer at Riversway, who received a big Riversway round of applause. The residents and guests swapped stories of times past, and everyone agreed it was one of the best BBQs yet. Roll on the next one! Springhill Care Group scoops two National Care Awards! Staff at the Springhill Care Group in Lancashire have won two top national care awards. Catherine Shawarby, General Manager at Birch Green Care Home in Skelmersdale, walked away with the Care Manager award at the 14th annual National Care Awards held recently. Stephen Penketh, Registered Manager and Vici Beardsworth, Operations Manager at the Springhill Group’s Accrington-based supported living service, Affinity Supporting People, were jointly named winners of the Special Needs Manager award. Birch Green provides high quality nursing and residential care for 74 older people and is part of the Lancashire-based Springhill Care Group. 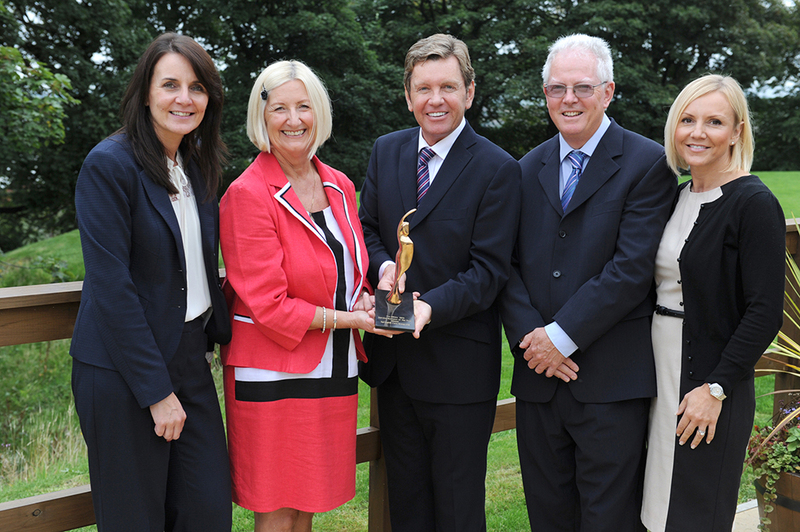 The trio were picked as winners from among the top care organisations and businesses in the country. The National Care Awards, now in its 14th year, is one of the social care sector’s premier award ceremonies, run by trade magazine Caring Times. This year’s event took place at the Hilton London Metropole Hotel, featuring TV and radio host Roy Walker and 600 guests. Ken Nolan, chairman of Springhill Care Group, said: “This was a great result for the team and a wonderful testimony to the quality of our managers. “Affinity and Birch Green were picked above much larger care providers, and we are particularly proud to be bringing these awards back to the North West. 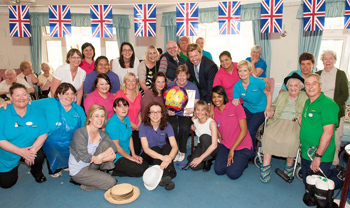 Staff and residents at Bristol nursing home Riversway helped their longest serving staff member celebrate her 60th birthday in style recently. Georgina Harriman, quality and training manager at the Crew’s Hole Road home, has worked for Riversway since the facility opened 15 years ago on the banks of the River Avon. The well-loved staff member was given a birthday to remember with entertainment including singing and food with a special cake for the occasion. Ken Nolan, chairman of the Springhill Care Group, operators of Riversway Nursing Home, travelled from Lancashire for the party, donning a top hat to join in the fun. Jan Wilkins, general manager of Riversway, said: “Georgina is a real jewel in Riversway’s crown. She has been with us since the home was first opened, and knows everything about it.